Our Expertise in Cardiac Imaging include Coronary Catheterization, Echocardiogram, Intravascular ultrasound, Cardiac PET scan, Cardiac CT scan and Cardiac MRI. 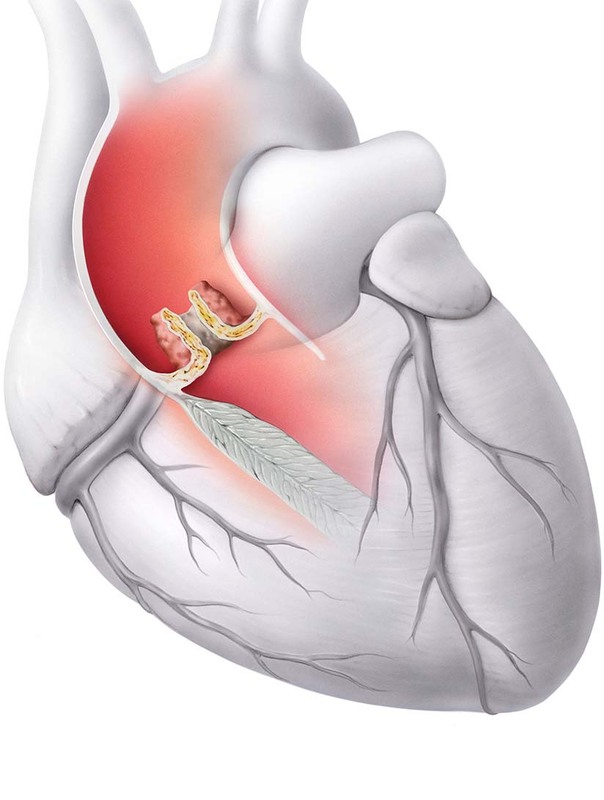 Left atrial appendage closure is a treatment option in patients with atrial fibrillation to close the left atrial appendage from the inside with a “plug” brought in with a catheter through the groin. In addition the left atrial appendage can also be closed surgically from the outside with a “clip” brought through a small hole in the chest (=thoracoscopically).